NodeGrid Serial Console (NSC) is able to share network ports with fellow devices, sharply reducing network switch port usage for OOB device management. This new port saving feature is already reliably and securely saving many valuable network switch Ethernet ports, reducing cat5/6 cabling usage and shaving expenses worldwide. NodeGrid Serial Console cascades, or daisy chains, network ports as shown below by implementing a network bridge between ports ETH0 and ETH1. In this configuration several NSC units can be used in cascade mode, all sharing the same network switch port, saving a physical port on each switch. Instead of occupying multiple ports on a master network switch, we can share one port among multiple NSC units. A typical network layout before cascading ports is shown below, along with a port-saving cascaded network layout. This is another example of versatility implemented by ZPE Systems for simpler data center device management, control and recovery. In cascade configuration, each NSC still has its own dedicated IP address (DHCP or Static) allowing for independent system administrator access. At the same time, cascading console units saves valuable network switch ports for better uses. NodeGrid Serial Console’s powerful multi-core processor mitigates any performance impacts from handling cascaded network traffic. On top of this configuration, it also possible to run Cloud Clustering (a NodeGrid Feature license) for a 360° view of all ports anywhere in the world. Multiple NodeGrid nodes can easily manage thousands of IT devices. 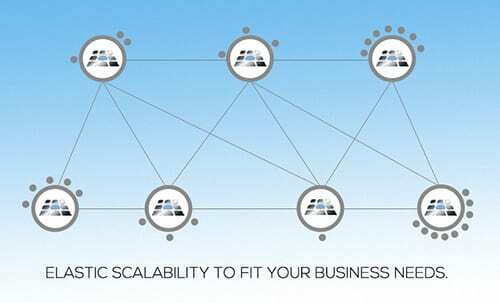 NodeGrid provides scaled access and control of NodeGrid-managed data centers in true cloud cluster configuration. Each node securely and resiliently communicates with other nodes. A single NodeGrid node provides access and control of up to 1,000 physical and virtual managed devices. NodeGrid insures efficient, fast provision of services to these devices by way of live connections. These live connections provide an active conduit of data collection to notify you immediately of user-customizable alarm conditions on a 24 x 7 basis. Contact our solution specialists via email -or- give us a call. We’re here to help. Share the post "Smart Serial Console Servers Conserve Network Ports"